What's sweeter than letting your friends in on the fun of receiving a Fix? If you're happy with your personal stylist—make sure you share the love. 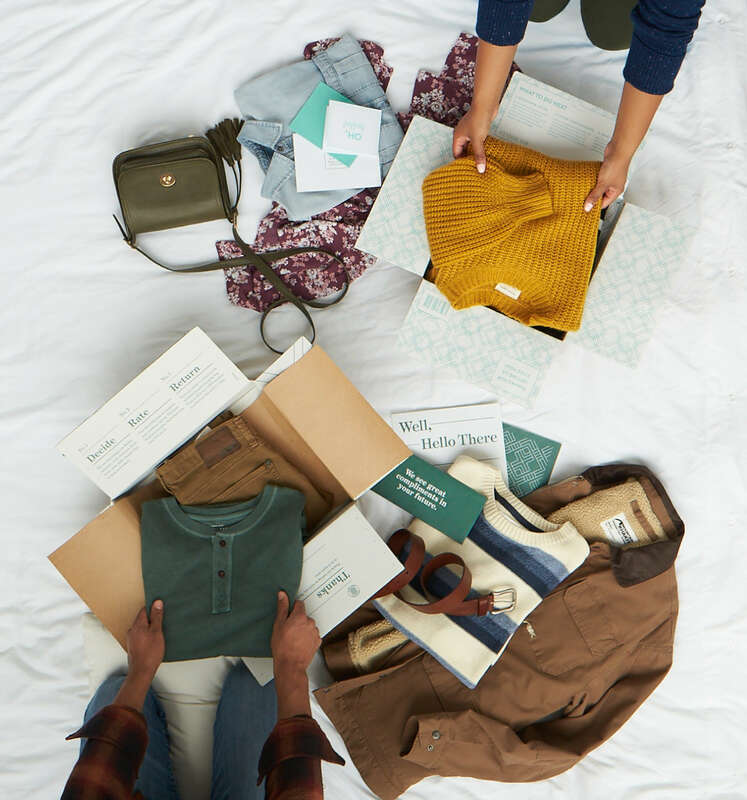 From your best friend to your brother-in-law— Stitch Fix has something for everyone. And now that we carry plus sizes, mens, petite and maternity, there's more reasons to refer than ever. Keep reading to see how to refer someone to Stitch Fix. It’s super easy! Simply sign into your Stitch Fix account and you’ll see your referral links on your account homepage. From there, all you have to do is share your unique link via your personal email or through one of these social-sharing channels: Facebook, Facebook Messenger, Pinterest or Twitter. Not into sharing on your social channels? That’s ok! You can also copy & paste the link anywhere you want—this includes text messages! Okay, I sent my referral link to someone who I think should give Stitch Fix a try. Now what? Once the person you refer clicks on your referral link, they must sign up for Stitch Fix, schedule a Fix, and have their first Fix shipped out. For every friend who signs up and orders a shipment through your link, you’ll get Stitch Fix credit in the amount specified on your Referrals page at the time your friend’s first order ships. How do I keep track of my referrals and if they’ve scheduled a Fix yet? If you head to your Referrals page and scroll to the “Referral History” section, you’ll see the names of people who used your referral link to sign up for Stitch Fix. It’s also where you can check to see if they’ve scheduled their Fix (don’t be afraid to remind them if they haven’t!). In your Referral History, you’ll also see if your referral credit has been applied to your account yet (reminder: referral credit is only applied to your account once your referral’s Fix has shipped). Pretty nifty, right? Absolutely! We currently carry waist sizes 28-42 and inseams 30-34. Refer him the same way we outlined above, or sign him up yourself now! If he’s not into filling out his Style Profile you can do it for him … so you can get your bonus for sharing the Stitch Fix love! What are you waiting for? Refer someone to Stitch Fix now!